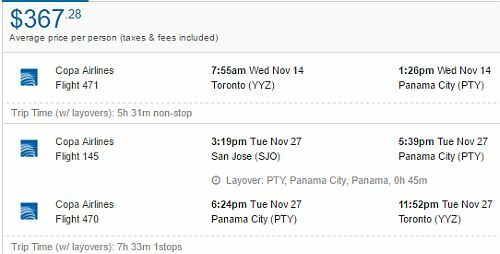 Copa Airlines is showing a few open-jaws flight in October and November that allow you to fly from Toronto to Panama, and then return home from San Jose, Costa Rica for $347 to $367 CAD roundtrip. 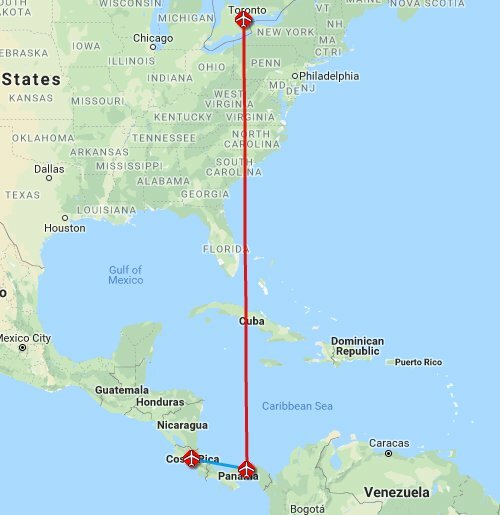 The flight from Toronto to Panama City is a non-stop flight. The flight home from San Jose, Costa Rica has 1 stop in Panama City. The flight between Panama and Costa Rica is not included. It's about 800km from Panama City to San Jose, Costa Rica. toronto, yyz, flight deals, costa rica, central america, panama city, panama, pty, san jose, sjo and copa airlines.